Posted November 10th, 2016 | Category: Podcast, Radio, Replay Capture Suite, Replay Radio. Technology enthusiasts are always scrambling for the latest new gadgets, unique mobile apps, and ground-breaking software and hardware that can change the way we live — they’ll always be a few steps ahead of the general public when it comes to anything new and cool in the tech world. We exist in a technology-focused society, and technophiles are some of the most advanced leaders when it comes to the evolution of that digital world. For those far-out technology nerds out there, Future Thinkers Podcast is recorded just for you. Based almost exclusively on discussions around philosophy and technology, and how they inevitably intersect, hosts Mike Gilliland and Euvie Ivanova explore ideas from artificial intelligence to the potential of future societies. Recode launched its podcast shortly after the start of 2014. Hosted by executive editor and all-around tech news genius/journalist, Kara Swisher, the podcast has featured interviews with well-known CEOs and influential tech figures discussing what’s up-and-coming in the tech world — particularly Silicon Valley. 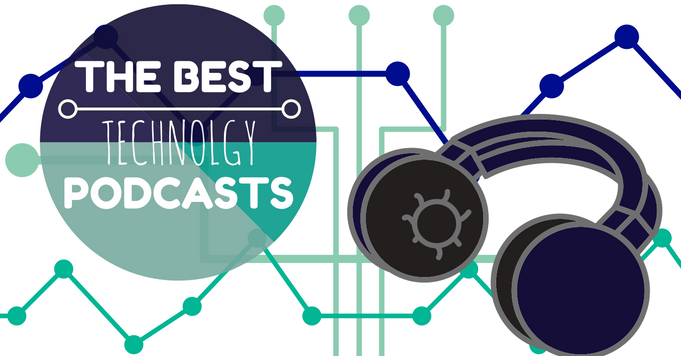 If you search for the best technology podcasts out there, TWiT is bound to be near the top of the results list. Expert Leo Laporte launched the network more than 10 years ago, making it one of the longest running, most informative weekly roundups ever. If you’re selective like us, make this your one-stop for all things tech. “Ninety-nine percent of who you are is invisible and untouchable.” – Buckminster Fuller. The 99% Invisible podcast aims to explore (and expose) many of the often-overlooked features of technology, design and architecture. With a larger focus on design itself, it’s the perfect tech-influenced podcast for the creative at heart. Curious for more great podcast recommendations? Check ’em out on our blog. Posted March 24th, 2016 | Category: Applian Software, Podcast, Radio, Replay Radio. We’re huge fans of podcasts – there are so many different topics, styles and people spanning the space, anyone can find that perfect kind of audible entertainment! Today’s shows can often draw images of pop culture hosts, technology enthusiasts or news anchors; styles ideal for adults. In reality, however, there’s a growing catalog of podcasts made specifically for children — and family time — that can bring the wonder of radio to kids everywhere. 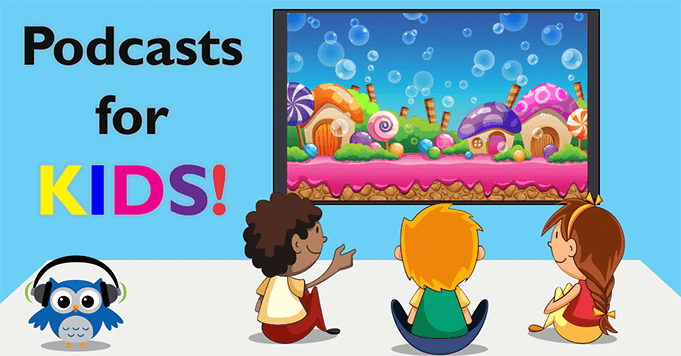 Listening to kid-friendly podcasts is a great way to spend quality, engaging family time (especially away from the TV) and expand learning with new forms of media that cover a variety of topics. Below you’ll find a smattering of our absolute best finds – use the Media Guide in Replay Radio to subscribe to, schedule, record and save them all! Based on the kids book series of the same name, Fergus Ferry is a podcast full of wonderful, enriching messages and lessons for young children — all with Dr. Seuss style rhyming that kids can’t get enough of! Following the journeys of a willful ferry boat, this podcast is as adorable and endearing as it is educational. Planning a family road trip this coming summer vacation? Stock up ahead of time on Storynory, a wonderful podcast that combines the magical forces of children’s stories, fairy tales and professional storytellers and actors. Each story told in every episode is a true adventure that will keep younger kids and families entertained for hours! Kid (co-hosts) teach kids in this awesome podcast that shares a different science lesson in each and every episode. From creepy-crawling spiders to the origin of boogers, the mission to Pluto to beginner’s meteorology, the amazing folks at Brains On! cover topics that are as cool as they are informative for kids. Bedtime stories take on a whole new meaning with this podcast perfect for putting your toddler, preschooler or young child to sleep. Ideal for ages 2-12 years old, Story Time (by Bedtime FM) has amazing, engaging stories that are the best length for entertaining and relaxing small children; 20 minutes or less and they’ll be on their way to nap time! Meant to replicate classic, old-timey radio shows, The Thrilling Adventure Hour is a throwback podcast for the modern family. With a stage, 6-piece orchestral ensemble and guest stars like Jon Hamm and Patton Oswald, this podcast is a musical, fun-filled exploration any family can enjoy. Warning: may contain some strong language. Posted January 21st, 2016 | Category: Applian Software, Podcast, Radio, Replay Radio. From the TV to the Internet to radio, those of us who love sports love following information and opinions about the athletes and the game(s). In the most recent years, podcasts have become yet another medium for fans to keep track of their favorite teams, players and more. As 2016 gears up for some incredible, heated events in football, basketball, baseball, hockey, and more, we decided to round up some of our favorite podcasts for any sports fan to enjoy. The best part? You can use the Media Guide in Replay Radio to subscribe to, schedule, record and save them all. There are hundreds of NFL podcasts to choose from, but Move the Sticks is a cut above the rest. With a casual vibe, it’s approachable and easy to listen to anytime. And, for anyone just starting out watching football, hosts/former scouts Daniel Jeremiah and Bucky Brooks, provide excellent insight and know-how to set you off on the right foot. The podcast version of Baseball Tonight, hosted by the infamous Buster Olney, is said to be even better than its ESPN TV counterpart. Olney has a charisma perfect for making connections, drawing insights and asserting his own opinions into every show, making it both smart and fun. ESPN personalities, along with some writers, fill the airtime with a number of topics in the MLB world. Perhaps one of the most widely misunderstood of sports, pro wrestling has its own segment of sports podcasts to get into the ears of fans. With the ever entertaining wrestler Colt Cabana as host, hilarious stories, commentaries, special guests and more, The Art of Wrestling will always keep you interested and updated on the WWE. While Football Weekly isn’t about the NFL, it takes a very smart look everything in the soccer world. Hosted by a group of self-proclaimed soccer fanatics (James Richardson, Rafa Honigstein, Sid Lowe) go into intense detail every week on the happenings of various leagues, small and large. If you’re a soccer fan, or getting into the sport, we definitely recommend giving this podcast a go. For all of your statistical analyses and firm facts, try out the podcast, Hot Takedown. Easy to listen to and informative to boot, this show is constantly proving how intelligent it is for anyone who is serious about all things in the sporting world. Game breakdowns, stats, and decisions proven right/wrong? Sign us up. Posted January 6th, 2016 | Category: Applian Software, Podcast, Radio, Replay Radio. Look out world, a brand new me is ready to come alive! The start to any new year is followed by a flurry of resolution-filled thoughts buzzing around. Whether they be inspirational (like being healthier) or a little more tactical (like flossing every morning), chances are that you’re not alone – there are people out there talking about many of the very same things you’re attempting and learning. Podcasts exist for every facet of thought, skill or helpful tip, and we created our software to help you keep them anywhere! Here’s a selection of our favorite podcasts for starting fresh this new year that you can capture using Replay Radio. Be the best you that you can be with the help of Lewis Howes and his podcast on personal development. With the goal of sharing inspirational stories of leadership, Howes shares essential life tips for gaining confidence and overcoming adversity, as well as stories from the most brilliant business minds, world class athletes and influential celebrities. Use the Media Guide integrated in Replay Radio to subscribe to The School of Greatness. It’s always been said that if at first you don’t succeed, try again. Achieve Your Goals, hosted by Hal Elrod, shows you how to start over setting goals and objectives, and creating successful habits, so you can live life to the fullest. From a new career to a DIY project, learn how to set attainable goals and find the steps to get there with this informative, confidence-boosting podcast. Use the Media Guide integrated in Replay Radio to subscribe to Achieve Your Goals with Hal Elrod. Learn new things in droves this new year, without ever leaving home! Brought to you by the team over at HowStuffWorks.com, Stuff You Should Know is a quirky, informative podcast hosted by writers/curious geeks Chuck Bryant and Josh Clark. The podcast explores random topics based on investigative research and personal anecdotes – Feng shui, gangs, history, you name it. Use the Media Guide integrated in Replay Radio to subscribe to Stuff You Should Know. Perhaps one of the most over-used (and under-appreciated) resolutions is to get organized and de-clutter, either personally or professionally. Organize Mindfully brings organization professionals, designers and mindfulness teachers right to your ears – the podcast shares new ideas, tips & techniques so you can bring order to your hectic life. Use the Media Guide integrated in Replay Radio to subscribe to Organize Mindfully. Use the Media Guide integrated in Replay Radio to subscribe to On Being. Posted August 7th, 2015 | Category: Podcast, Radio, Replay Radio. Here’s a selection of our favorite, funny podcasts. Capture them all with Replay Radio and finish this summer with a laugh. Listen on! “To me being a comic meant to be autonomous, angry, truthful, and funny,” says Mark Maron, whose WTF podcast isn’t always as laugh out loud funny as it is self-reflective, truthful and angry. Last month, President Obama joined the podcast but Maron’s usual guests are comics. Funniness, a healthy dose of coming of age tales and inside comedy showbiz stories ensue. Use Replay Radio to capture WTF from its website or iTunes. Have you ever seen a movie so bad that it’s amazing? So begins the official show description and premise of the wonderful How Did This Get Made? podcast, which features funny people, making fun of terrible movies. Hosts Paul Scheer, Jason Mantzoukas and June Diane Raphael dive deep on the movies and TV shows we all love to hate. Use Replay Radio to capture How Did This Get Made from its website, iTunes, Stitcher or Soundcloud. Self-declared “famous minor television personality” John Hodgman has been a master of wry, sarcastic criticism for some time. You might remember him from the I’m a Mac ads with Justin Long, or from his contributing role on Jon Stewart’s The Daily Show as Resident Deranged Millionaire. In his podcast, Hodgeman asks his audience (or anyone else) to bring him issues that need resolving and then brings his bludgeoning, literalist wit to bear on debates and, ultimately, rulings. You won’t find a more fiercely comedic judge, more tyrannical jury or more hilarious executioner anywhere. Use Replay Radio to capture Judge John Hodgman from its website or iTunes. If you enjoyed John Oliver’s contributing or hosting work on The Daily Show, or if you’re a fan of his new, more provocative show on HBO, check out The Bugle and make reading tomorrow’s paper just a little less painful. Use Replay Radio to capture The Bugle from its website or iTunes. And now for show that’s not so much a humor podcast as a humorous podcast, starring perhaps America’s most unlikely folk comedic celebrity, the oft-cited and well-known Neil DeGrasse Tyson. Tyson is an expert at making big, scientific notions and questions accessible, with smart, healthy doses of pop culture references and humor. Use Replay Radio to capture Star Talk Radio from SoundCloud. Posted February 11th, 2014 | Category: Applian Software, Podcast, Radio, Replay Music, Replay Radio. We recently launched our newest addition to the Applian family: Replay Radio. Our easy-to-use recorder lets you enjoy thousands of radio shows and stations on your own schedule, listen back on-demand, and convert to multiple audio formats. We wanted to make radio listening easy with Replay Radio. In the big wide world of the Internet, there are so many options for streaming stations and podcasts. There’s more content available for your listening pleasure than anyone could imagine, and now, you can easily filter what you want from our Media Guide and experience radio whenever you want it. Our favorite interview podcast with actors, comedians, writers, and overall cool people. Hosted by self-proclaimed “King Nerd” Chris Hardwick, it’s a great way to hear behind-the-scenes stories from popular culture movers and shakers. One of the best alternative radio stations in San Francisco, Best Frequencies Forever is a great resource for indie / electronic music from the underground. Catch up on “what the kids are listening to” and by kids… more like late 20-somethings with jam-packed iPods. Easily one of the most listened to radio podcasts out there, This Week In Tech, is hosted by Leo Laporte and follows all of the top trends in technology — from new products to business news — this podcast is the best place to get your tech fill. Another music option for you, All Songs covers the best new emerging music without the fuss. Playing full songs from the obscure to the legendary, NPR has made this podcast a staple for audiophiles everywhere. Of course, there are so many more, and you can discover many through our Media Guide within Replay Radio. We’d love to hear about your must-listen-tos in the comments, and be sure to use Replay Radio to record all of your favorites!